> Beads>Glass beads>Glass Flowers and Leaves>Czech glass, turquoisey blue leaf, pale centre. Hole across top, approx. Length 12mm. Pack of 10. 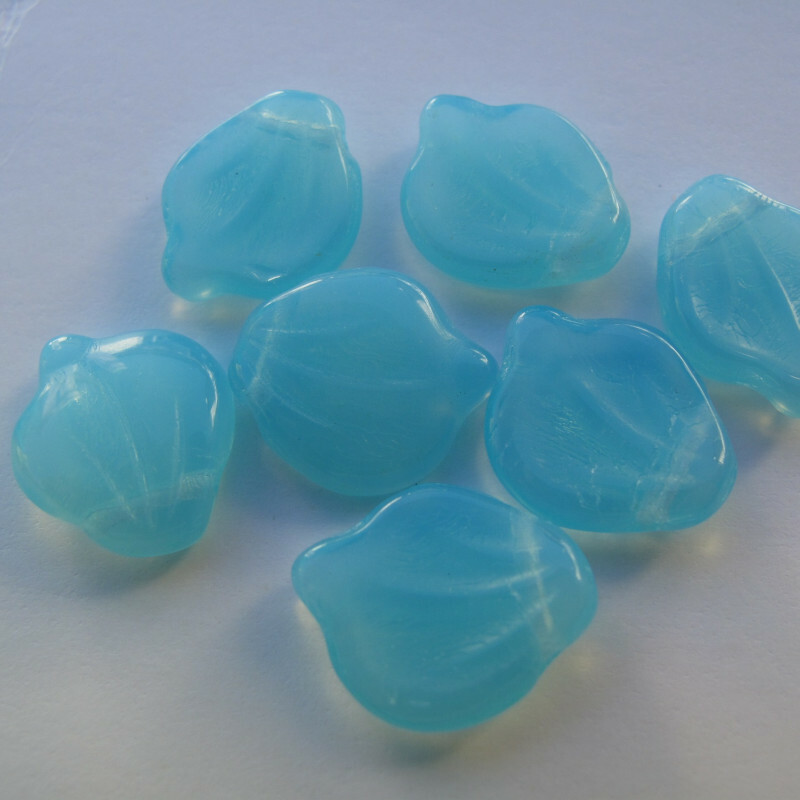 Czech glass, turquoisey blue leaf, pale centre. Hole across top, approx. Length 12mm. Pack of 10.